Audials - Radio + Music Sync lets users record online radio, transform recordings into MP3 which can then be saved to a smartphone—legally and for free. What more could you ask for? Find out whether Audials - Radio + Music Sync is everything we hope it might be in today's review. Radio harbours all online radio stations—a whopping 50.000 stations and counting. To make navigating this massive amount of stations more user friendly the developers have created various categories (e.g. favourites, local stations, countries...) and a search function via which users can search for stations and/or artists. In my experience, searching for artists didn't always pan out as I had hoped. For instance, I searched for the ska punk band 'Reel Big Fish' and while the app came up with a list of a few stations, none of them were currently playing any of the band's tracks. That said, knowing which radio stations are likely to play certain artists (especially the somewhat more obscure ones) is already a step in the right direction. When streaming a station you will find a bar near the bottom of the display via which you can navigate playback. There's also a zapping feature with which you can switch between stations according to certain criteria. For instance, enter the criteria 'hip hop' and the app will list a number of hip hop stations that you can then navigate through at your leisure. Streaming is generally good quality (usually 128kBit/s, other quality options are displayed when available). Another cool feature: the app buffers for approximately 15 seconds so that playback is never interrupted, even when there's a momentary glitch with the internet connection. Mass capture lets users capture however many songs from one genre of their choosing. Simply select how many songs you'd like and then hit start. Sounds perfect—but unfortunately the songs captured do not always fit the filter criteria. I tried capturing ska music and wound up with a number of tracks from a Polish radio station (PolSKA, geddit?) on my list. Aside from this small confusion the feature works out pretty well. Tracks are tagged automatically (minus album name and cover, however) and filed to the Audials folder and SDD. All tracks are thus available offline immediately. Go to Recordings in order to playback recordings and view all saved files according to date. Audials - Radio + Music Sync does what it promises to do pretty well, it runs well and design-wise it's also quite nice. I especially like the zapping feature because it's a great way to discover new music and artists. 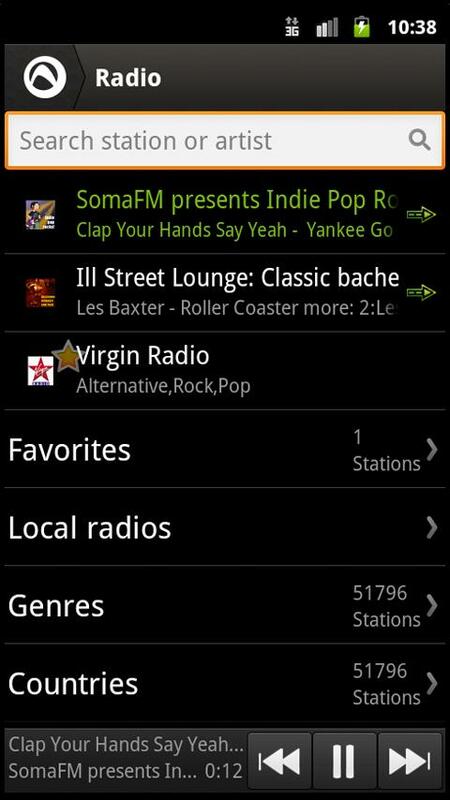 There's also a feature for syncing favourited stations with computer software which is also available. In order to make use of this feature you will need an Audials account, which is easy to set up. Having used other similar apps I've grown to really enjoy a feature that allows users to download certain select tracks and select an interpreter for a track that's been covered by more than one act. Unfortunately, Audials does not have this feature. Another small drawback is that streaming is sometimes interrupted and an error notification pops up. Please note: Some of you might be wondering why the app requires certain 'weird' permissions. I got in touch with the developers who got back to me promptly offering a sound explanation: the telephone status permission is necessary in order to silence streaming when there's an incoming call. System protocols are required in order to review trouble shooting in the beta version, but this function has been deactivated for the current, updated version. Update: Audials was very recently updated and now boasts the new 'Audials Anywhere' feature. This requires a free computer software and lets users playback/stream music and videos from their computers on their smartphones. This feature is rather nifty, though it isn't (yet?) possible to reverse the process, that is to say to copy music from your smartphone to your computer. Both the controls and the UI are very user friendly. On the whole Audials - Radio + Music Sync is easy and intuitive to use. Audials - Radio + Music Sync performed commendably throughout our test runs. The app begins recording and saving as soon as you command it to. It will take a while before music can be accessed locally, seeing as the process of recording live tracks takes its time. 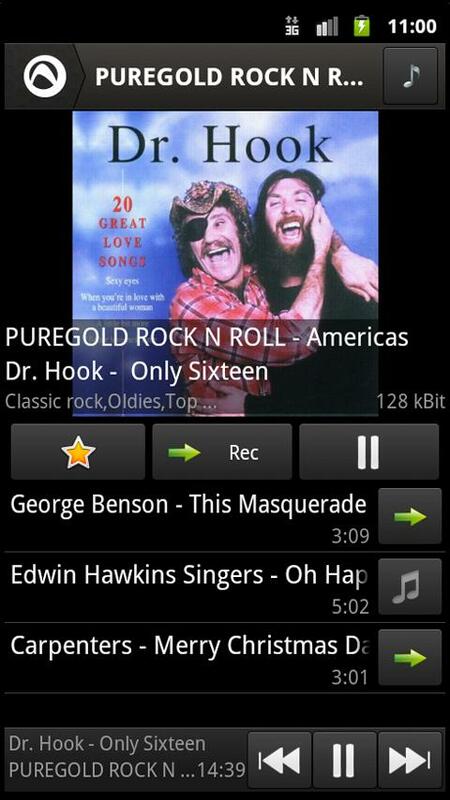 Audials - Radio + Music Sync can be downloaded for free from the AndroidPIT App Center and the Market. What's more, there are no ad banners to contend with—perfect!